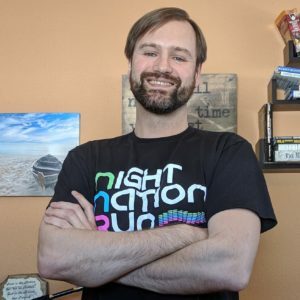 Have a business, Amazon or entrepreneurial question that you would like me to answer on a future question and answer video? Option 1: Leave a voice message which will have priority and it will be played on video before I answer your question. Option 2: Leave a comment bellow and I will respond to you in the comments and possibly answer the question on an upcoming question and answer video. How does one determine when they (and their business model) are ready and able to leave the “day job” and take the entrepreneurship full-time? Excellent question Valerie and unfortunately the answer is it depends. It depends on a lot of factors such as how much risk you are willing to take, how much you have to lose and if you feel you are ready. If you are asking this question then you might not be ready yet but I will tell you this, you will always have doubt, doubt is the life of the Entrepreneur and something we all must overcome. I had a lot of doubt before going full time and I still do from day to day and even minute to minute. I actually was looking for part time jobs up until the day I went full time in the business because I was wanting a crutch. I am very happy though that I did not take a part time job because I would not have the time needed to dedicate to my business. Hope that helps Valerie, I will also create a video soon on this topic to go into this deeper. Here is my video reply to your questions Valerie. Hope it help! Hello Todd. I just discovered you via a Pat Flynn re-tweet. I am curious as to if you do any conventional affiliate marketing with a network such as Click Bank? I thought that was going to be my route but am all of a sudden discovering many other routes. I’m just starting on my journey. I have used Click Bank in the past but never very seriously. Personally I do not want to promote products that I am not using myself and I know are great. Down the road if a product I use uses Click Bank I will likely use it but only in that direction, I likely will never use Click Bank to find products to affiliate market. My reputation is something I value above all else so I would not risk it by promoting a product that I don’t know for sure is awesome. Do you get your products shipped directly into the Amazon warehouse, or do you get them shipped to your house before sending them off for FBA? If the latter, why? Is it possible to get the goods shipped to the Amazon warehouse, from the supplier? 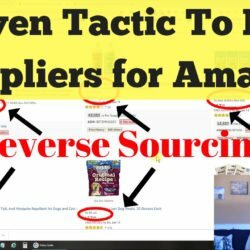 I get most of my products shipped to my house, or now a fulfillment center, as most suppliers do not want to ship directly to Amazon because Amazon always has you send to multiple and different warehouses. I do have one supplier who ships in directly but he has one product that I carry and is a small brand just starting out. Hello, Todd. I’m just starting to sell on Amazon. I have a few questions. There are brands I’m allowed by Amazon to start selling right now. I would like to use worldwidebrands.com as suppliers for that. 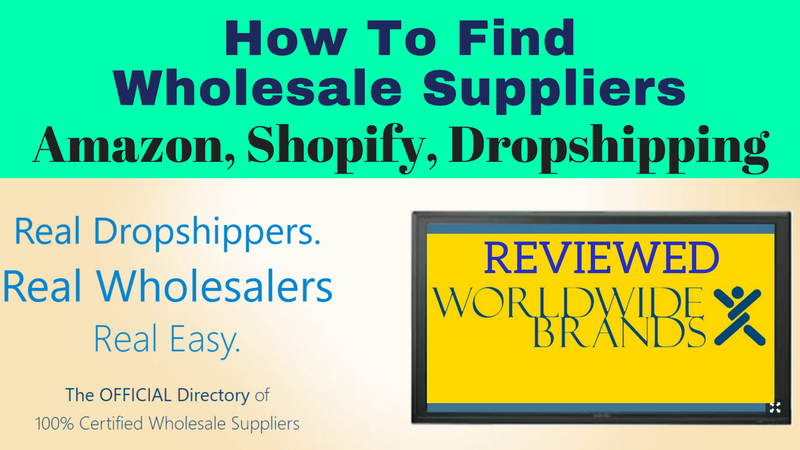 But will suppliers be able to worldwidebrands.com give me approve to sell their items, and could they give me invoices if I want to work with them as a dropshipper? And the second question: can Amazon ask me for invoices and approve from brad if this brand is not restriction to me and can be selling? Hey Tanya happy to hear you are starting to sell on Amazon. World Wide Brands suppliers will be able to give you invoices. Amazon usually requires an order of at least 10 units to use the invoice to get ungated. Just make sure the info on the invoice matches your info in Amazon. Company name, email, address, phone. 1) Due to various courses etc, many people are now targeting the brands wouldn’t this mean they are just getting bombarded? 2) Does Amazon rotate who gets the buybox? Or is it literally the cheapest on. If so don’t you end up in a race to the bottom (unless you have MAP). 3) How do you work out what share of the BB you will get? 4) If a brand is selling on Amz, why would they sell to me at a much lower price when they could just as well sell at the standard price and make more money – am I missing smth? Hey Rich thanks for the questions. 1. Some yes which is why you have to set yourself a part by helping them build their brand. 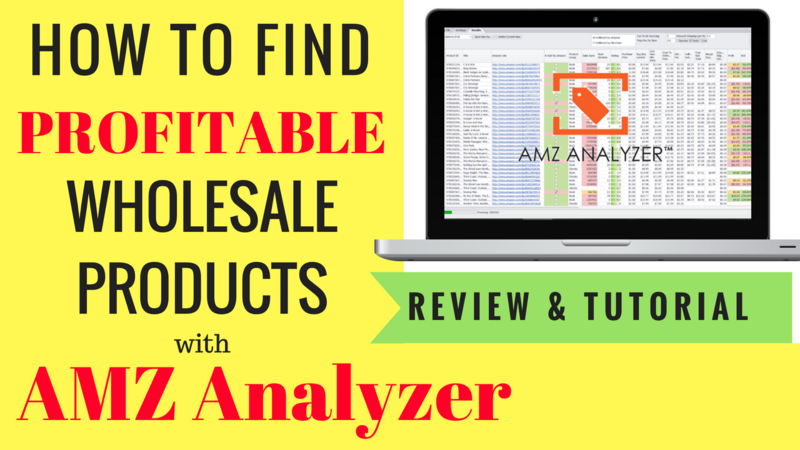 Wholesale is all about volume and contacting many suppliers to find ones you can work with. 2. The buy box is based on many factors but number one is price. If you are the same price as another seller who has the buy box Amazon will likely rotate the seller. The key is to not price below anyone just match their price as to not push the price down. 3. You can guestimate an even split between everyone within 1 or 2 cents of the buy box price. 4. Likely they will not, we do not recommend contacting a brand that is selling their products themselves on Amazon although with that said if they have bad listings you may want to contact them and offer improving their listings in exchange for selling their product. Hello Todd, I have a few questions about your coaching class. 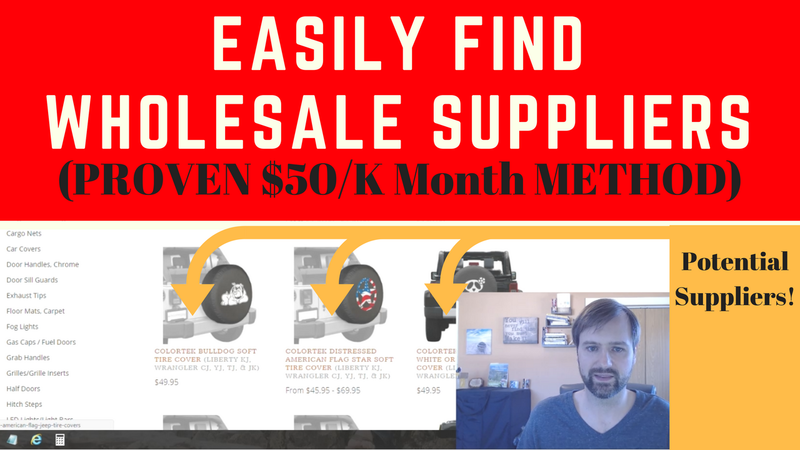 Can you give me more information about “Get Products Into Amazon and Selling?” Will you help with listing, ppc, optimizing, etc.? 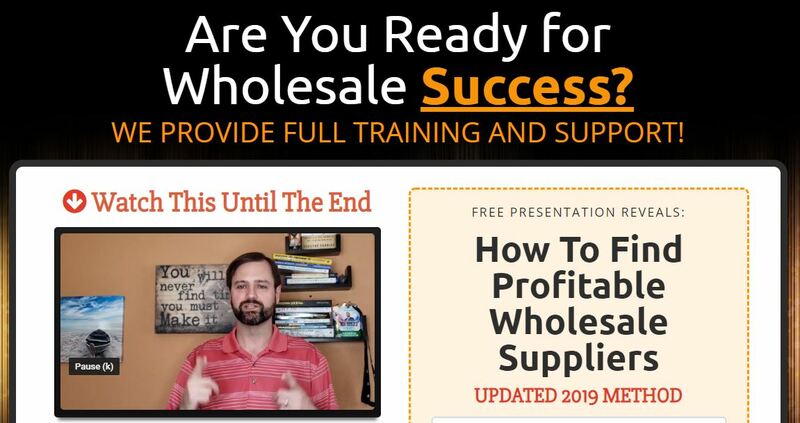 Hi John I will be helping you find wholesale products to sell on Amazon and walk you through sending them into Amazon and getting them selling. 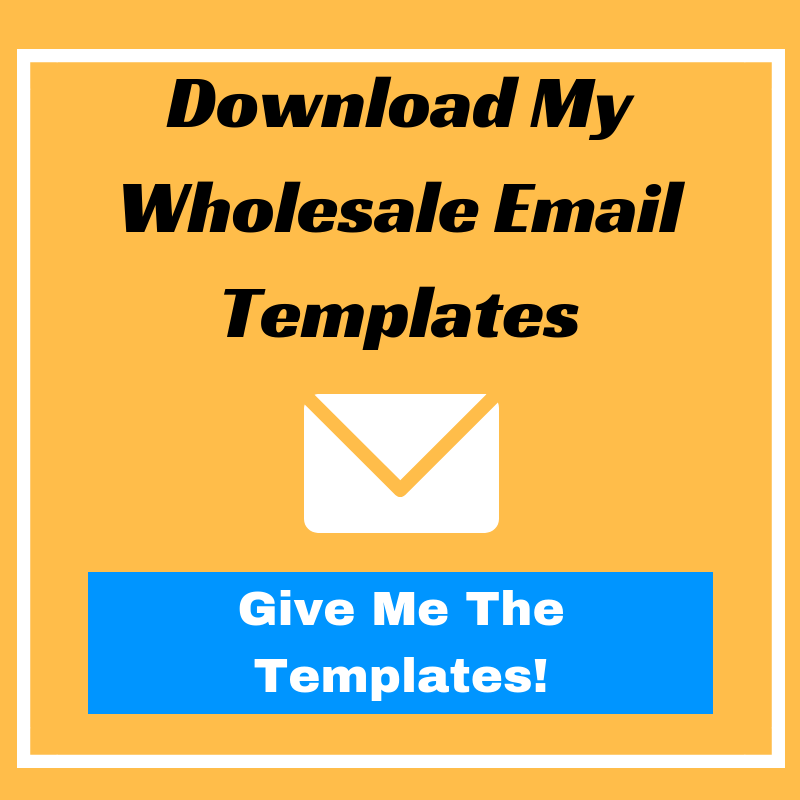 For wholesale products the listings will already be up and running. 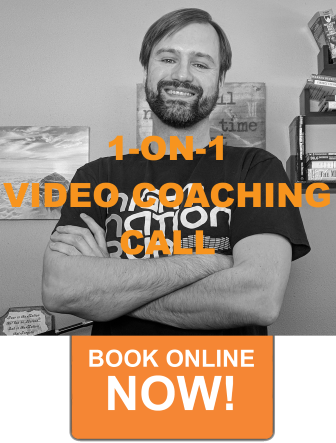 The process we will be covering will not require PPC or optimization unless you choose to do that but it would not be included in the coaching. Hi Todd! Which fulfillment center(s) do you use/recommend? Hi Bob I used to use AutomatedFBA but they messed up some of my products so I am currently looking for a new company to work with. through reading these comments, I am just now realizing that when i score a contract with a manufacturer the product will be sent to me and not straight to the amazon warehouse. Knowing this, is it just a matter of opening the box, checking the products for faulty parts, then reshipping to an Amazon warehouse? -2nd, considering that it has to be sent to my home, that then would mean I would need to be stateside to have this type of business, yes? Hi Lizz you can have them sent to your home, inspect them and then setup shipping into Amazon or you could find a prep center to work with who do the same but at their warehouse. Having a prep center would be the best bet if you plan to travel. I was using AutomatedFBA but they messed up some of my bundles so I am currently looking for a replacement.